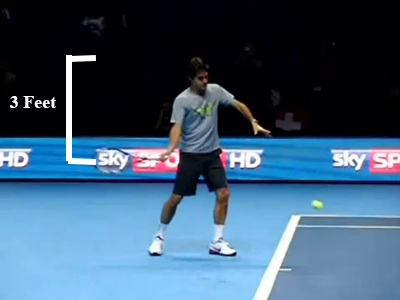 There are two main forces that affect the swing speed of a forehand. The kinetic energy chain discussed in greater detail here is the main power source for groundstrokes and serves. But the second force, gravity, can play a huge role in the overall swing speed of groundstrokes. On earth, gravity is the force that attracts a mass toward the center of the earth. Its what gives a mass weight. 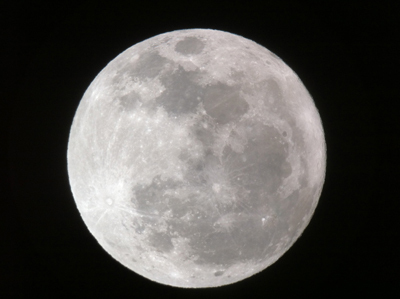 On the moon gravity is 1/6 of what it is on earth. This means objects on the moon weight 1/6 of what they do on earth. Trying to lose a few extra pounds? Go to the moon and your problem is solved! 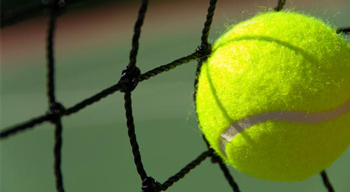 Gravity can be a hindrance in tennis and it can be a benefit. It can be a hindrance by not being strong enough to bring the ball down into the court as soon as we like. For the very next shot it may be too strong and keeps the ball from clearing the net. Gravity can keep someone from jumping up high enough to hit a lob that is over their head. The second problem can be overcome by swinging vertically and lifting the ball up over the net. 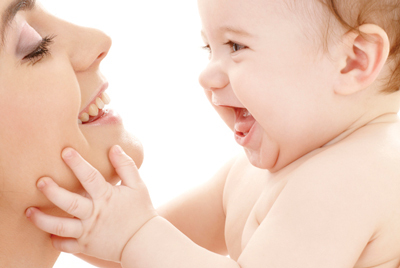 The third problem… Well blame your parents for that one! 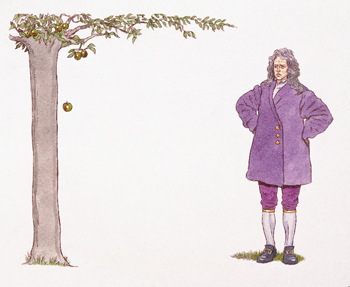 Both objects will hit the ground at relatively the same time. 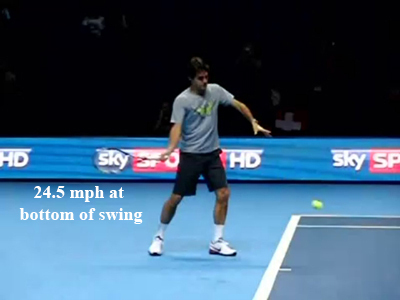 For each foot the racquet is allowed to freely drop it will gain approximately 6 miles per hour of speed. 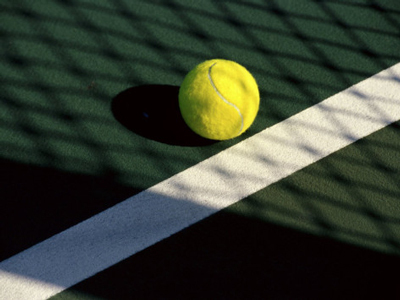 The average player who swings with a loop will drop the racquet about 3 to 4 feet. This means they will gain approximately 18 – 24 miles an hour of racquet head speed from gravity. 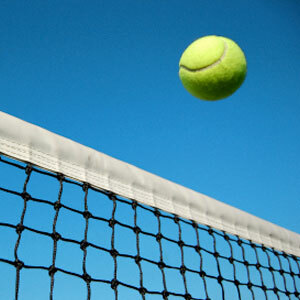 Hover over the image to see the racquet drop. The data acquired by Andy Fitzell and Vic Braden in this video confirms this. 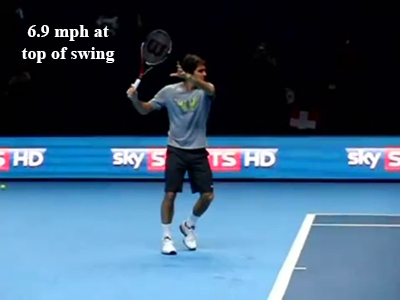 At the top of Roger’s swing the racquet is moving about 6.9 mph. The change in speed from the top of the swing to the bottom is 17.6 mph (24.5 – 6.9).With the racquet having dropped approximately 3 feet this is an average increase of 5.89 mph for each foot dropped (17.6 / 3). Gravity is a constant value so as long as the racquet is dropping the same amount of distance it doesn’t matter how strong a person is, they will get the same increase in racquet head speed as the next person. Anybody who drops the racquet three feet will gain approximately 18 mph of speed.This can be proven by looking at Andy Fitzell and Vic Braden’s analysis of Justine Henin’s forehand found here. At the top of Justine’s swing her racquet is moving 7.8 miles per hour. When her racquet is at its lowest point it is moving approximately 24.8 miles per hour. The change of speed from the top to the bottom of the swing is 16.9 miles per hour (24.8 – 7.9). With the racquet having dropped approximately 3 feet that is an average increase of 5.63 miles per hour. 5.63 mph is slightly less than Roger’s average racquet speed of 5.86 mph, but this difference can be attributed to the fact that Justine isn’t as tall so her racquet is likely not quite dropping as far as Rogers is. 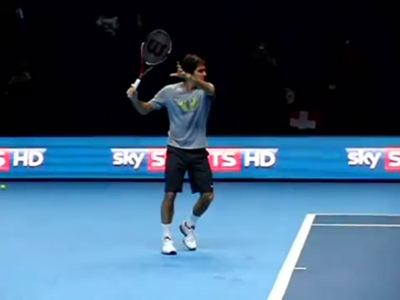 Gravity is a valuable asset to hitting a powerful forehand so its important to use it. If the racquet is brought back low the racquet and body will not get any benefit from gravity and will actually be fighting against gravity. This will lead to a substantially less powerful forehand as the racquet will not be able to generate the same amount of speed as a player who starts with the racquet higher. Its also important to keep the arm relaxed and not tensed up when dropping the racquet so gravity can actually work on the racquet. If the arm is tensed up it will keep the racquet from dropping as quickly as the tensed up muscles will work against gravity and act as a brake to the racquet keeping it from accelerating as fast as it should. Plus using muscles that really don’t need to be used forces the body to exert more energy and this leads to swings that require much more effort to complete. One reason pro’s always look so effortless is they use natural forces such as gravity to dot he work for them. They don’t fight against these forces like most recreational players do! Gravity is a invisible power source, use it to help take your game to a higher level.